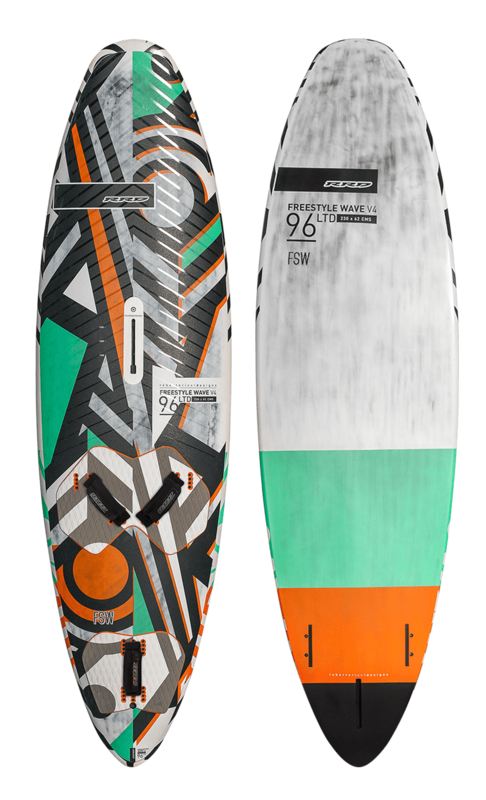 We have re-designed the Freestyle Wave range adding to this Version 4 a COTAN touch on the nose. 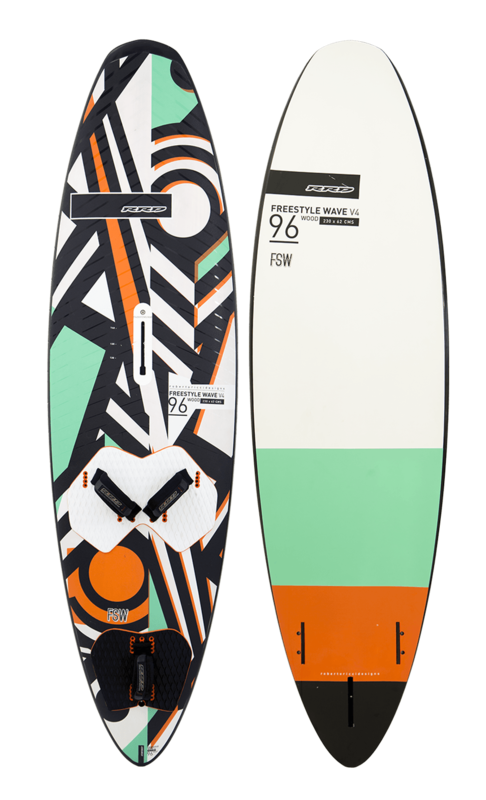 The new outline with Cut Out Nose helps to make this new shape even more compact than the previous version. This feature combined with the refined and thinner rails on the tail and the new thruster fins set-up make those new shapes much more free, alive and responsive to rider’s input no matter if ripping on waves, boosting a jibe or pulling out some trick. 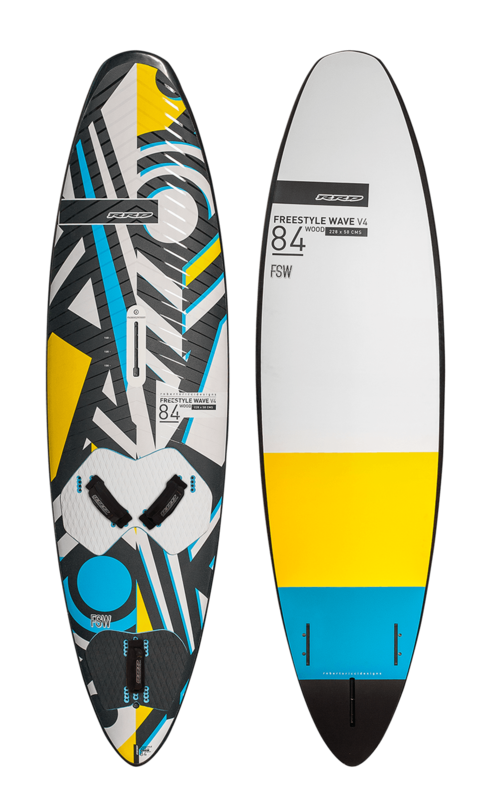 The “Power Box” fin system in combination with the 2 side slot box fins, allows finding the perfect trim of the board depending the conditions or the rider’s style: Single Fin for freeride or freestyle oriented session, Tri-Fins looking for more grip or waves to ride! 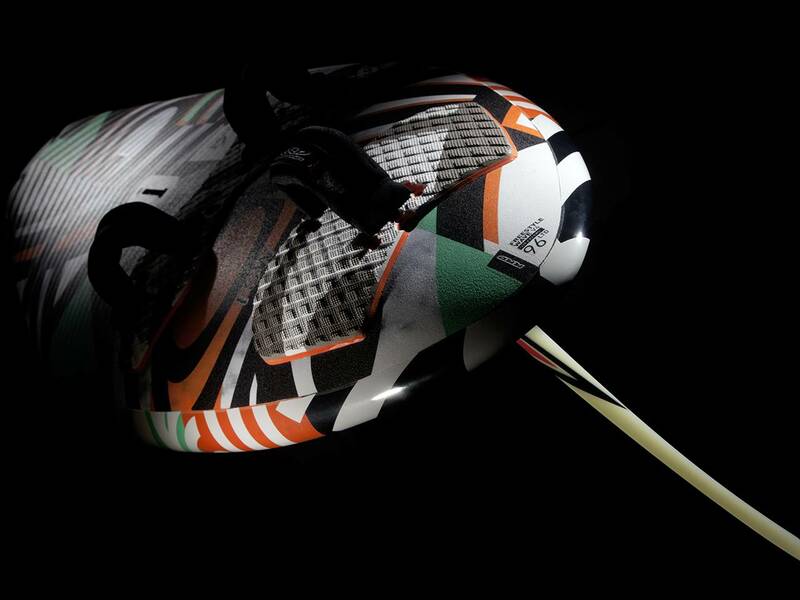 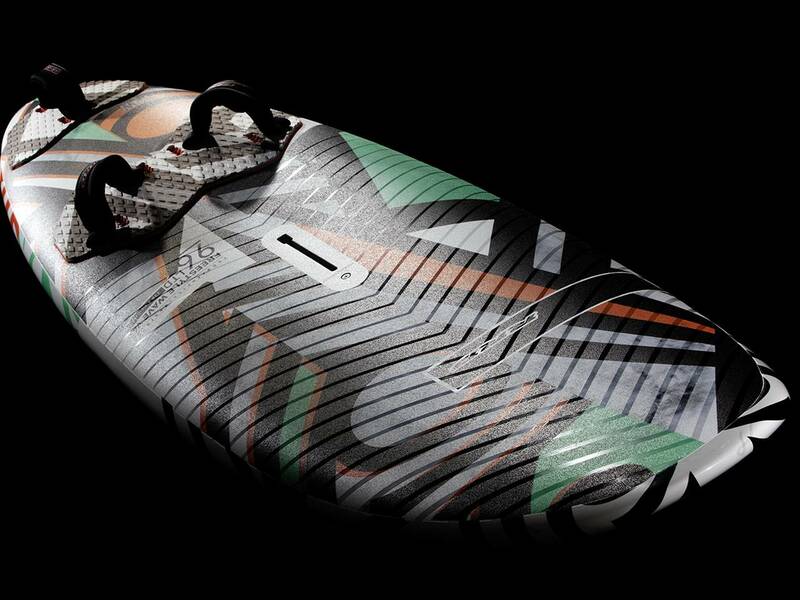 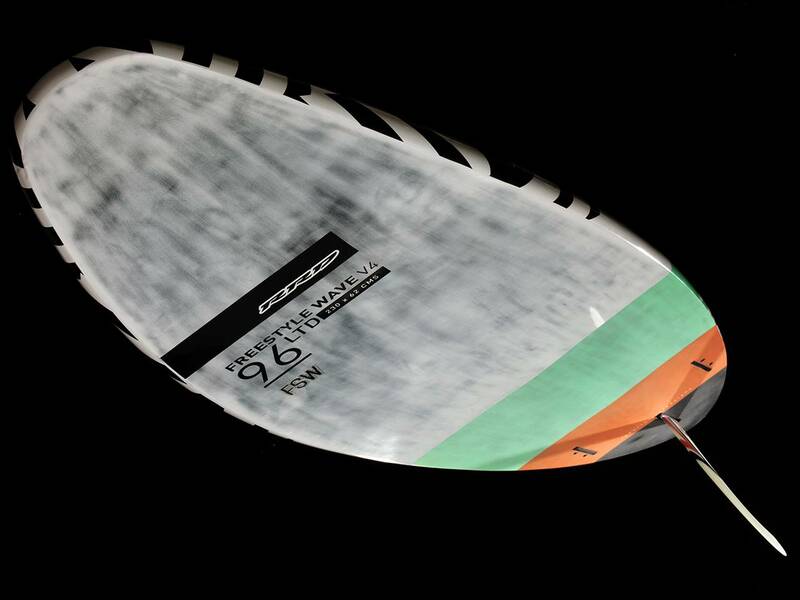 The Nose features a Cut-Out design that give a more compact feeling to the board. 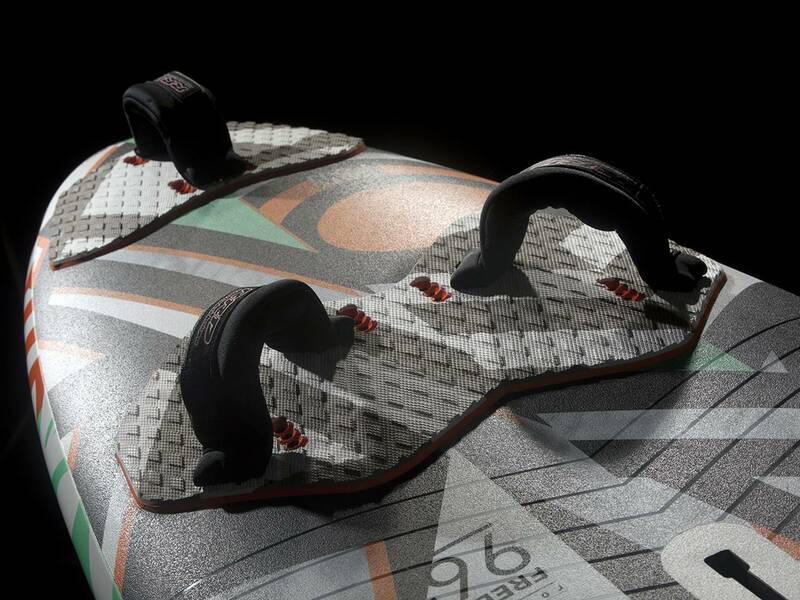 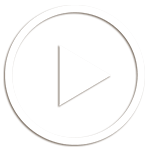 The Rocker is the same as the previous version. 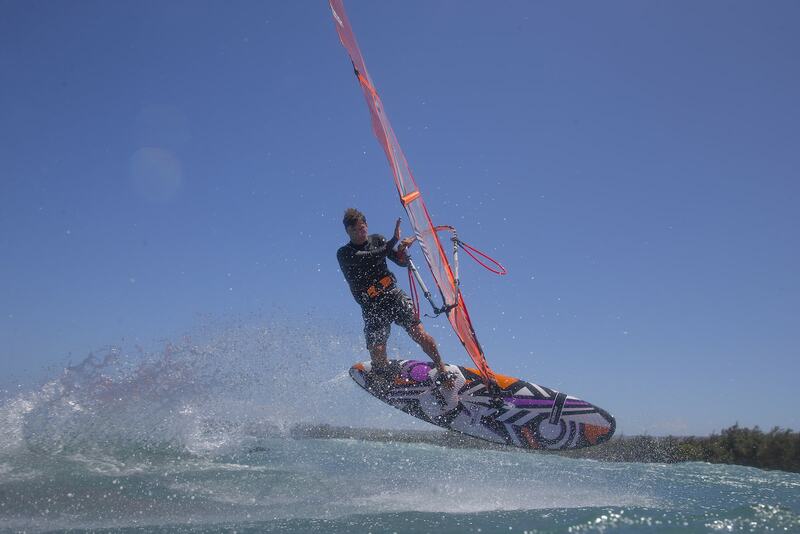 Kicked in the last 40 cms from the nose, straight and fast in the mid/rear section. 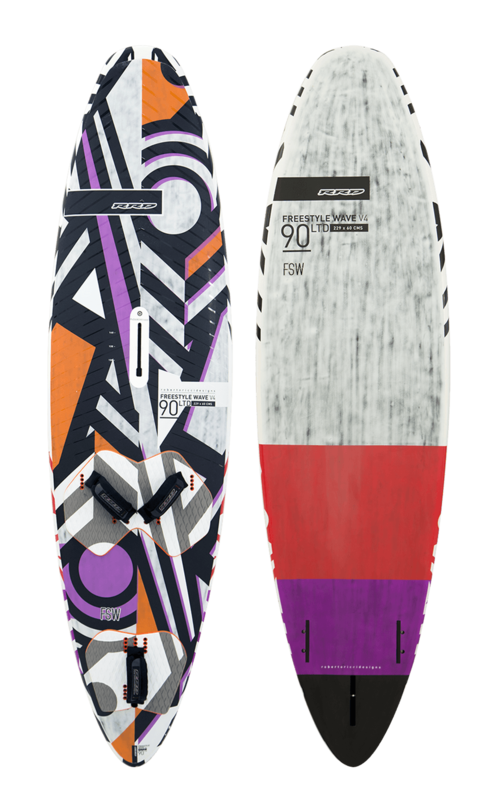 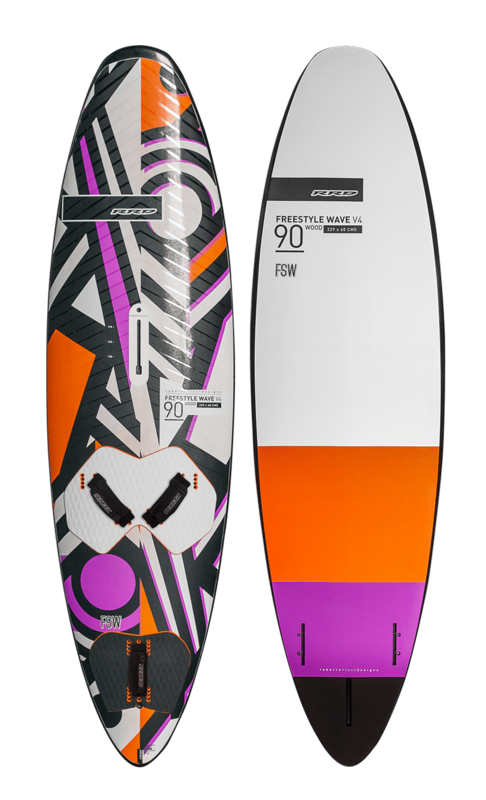 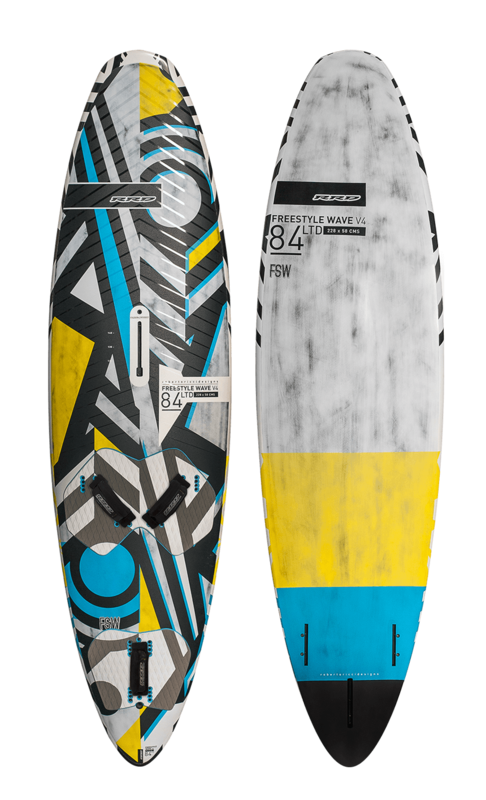 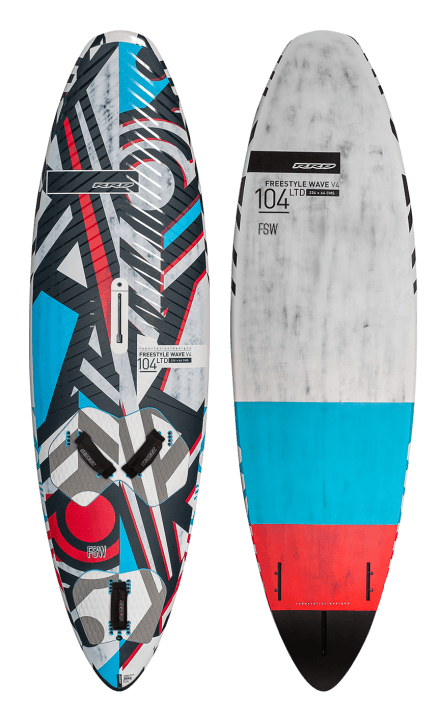 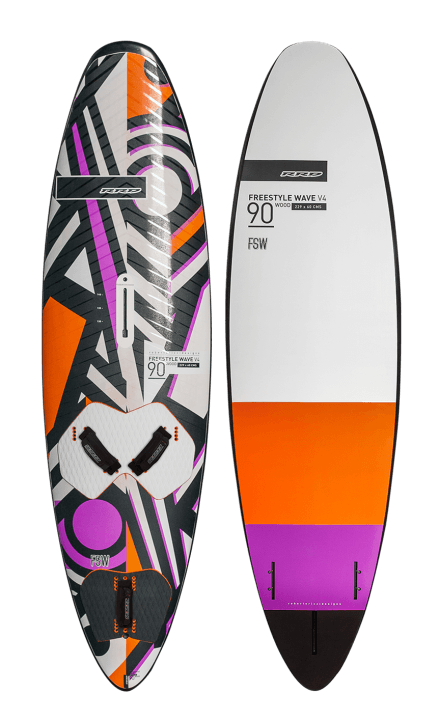 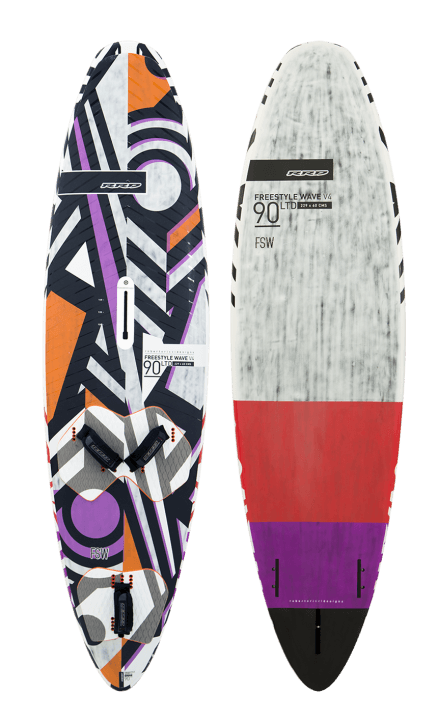 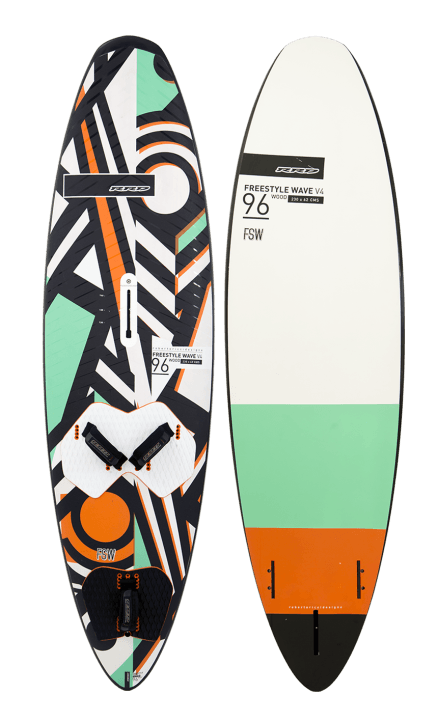 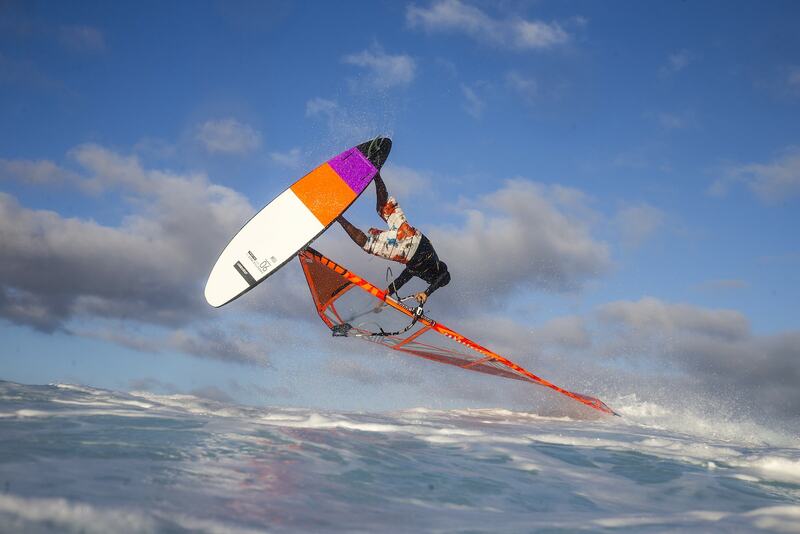 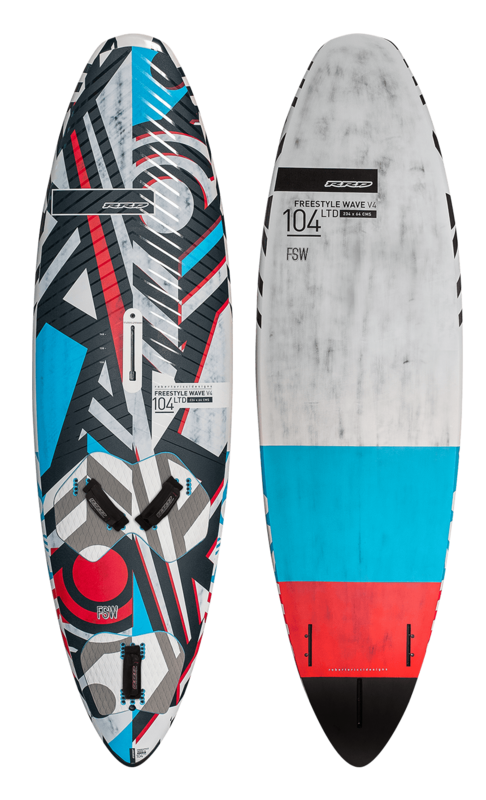 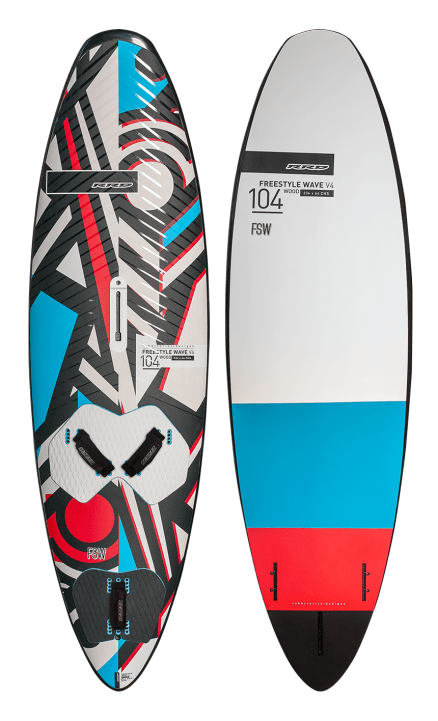 The Volume displacement has still less volume on the tail and more volume on the nose, to keep the same amazingly well balanced board which ensures its special accurate trim on the water both in planing and non-planing conditions. 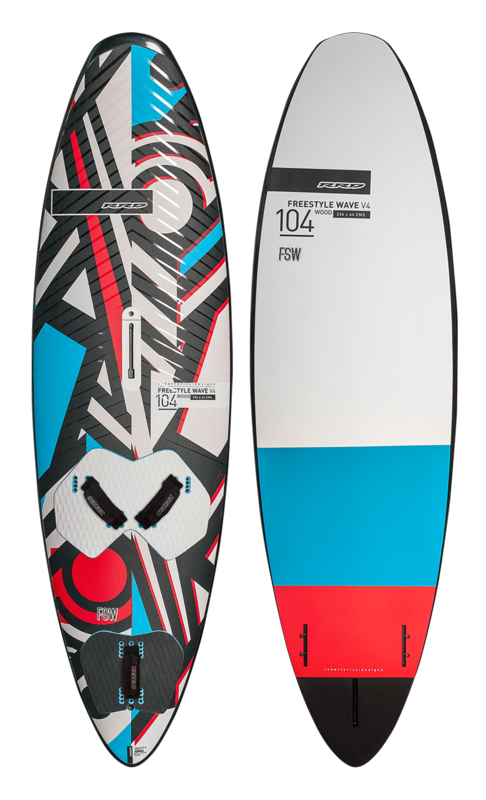 The simple slight double concave/ V rail to rail configuration of the hull allows a perfect flow and balance over the roughest waters in any conditions.